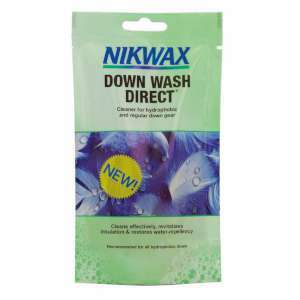 Nikwax Down Wash Direct is a safe and effective technical cleaner for hydrophobic and regular down clothing and sleeping bags, and now it comes in this handy little 100ml pouch. This pouch contains enough for one application of cleaner which will clean and restore water-repellency of both the outer fabric and the down (even of untreated down) to maintain fill power and insulation of your down equipment and clothing. 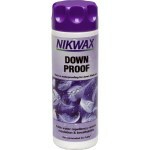 This Nikwax Down Wash Direct is so easy to use, simply use in a washing machine or by hand, so whether you are at home or travelling, always keep one of these useful pouches ready!